Delta Force Paintball Devon has a fantastic range of high-tech game zones and equipment in addition to our first-class facilities at basecamp. Our paintball games are suitable for anyone over the age of 10 and are great fun for the whole family! The Plymouth paintball centre can be found in Plympton, south-west Devon; an ancient stannay town, known for trading locally mined tin. Today, it is a populated suburb of Plymouth city and how has its own town centre (known as the Ridgeway), which is a collection of several local villages, made up of St Mary’s, St Maurice, Colebrook, Woodford, Newnham, Langage and Chaddlewood. 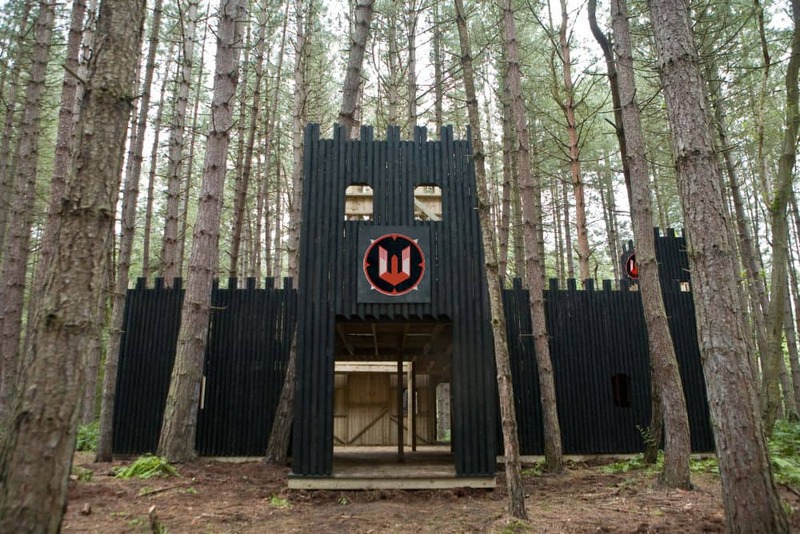 Set in a beautiful forested area of Plympton, Delta Force Paintball Devon offers a gorgeous setting for paintball fans looking for a paintball centre with a difference. 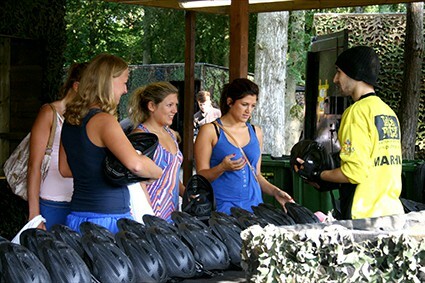 The venue is home to three top paintball game zones: Castle Wallenberg which features a huge two-storey wooden fortress, Chemical Alley where your mission is to take over a heavily protected fuel depot and Viet Cong Village where you and your comrades are required to follow the Ho Chi Minh trail and seize control of the local village. This five star paintball centre in Devon provides all customers with top-of-the-range safety equipment including: full head protection goggles, full-body combat suits with padded neck collars, body armour and the option to purchase gloves for additional protection. Our semi-automatic paintball guns are also of the highest standard; we ensure all our paintball equipment is properly looked after and well maintained, to ensure optimum performance during game play. Delta Force Paintball has even been awarded five stars by the UK Paintball Association (UKPBA) for its outstanding health and safety measures, so you know you’re in safe hands at Delta Force Paintball in Plymouth. Add to this the centre’s fantastic facilities at basecamp (including proper WCs, open and covered picnic areas with lots of seating and secure lockers for customers to store their valuables), and you can see why Delta Force Paintball Devon is one of the South West’s most popular paintball centres and is ideal for birthday celebrations, stag and hen parties or corporate days out.